The 2019 year gives a special opportunity to consider the short period of the political participance of women. 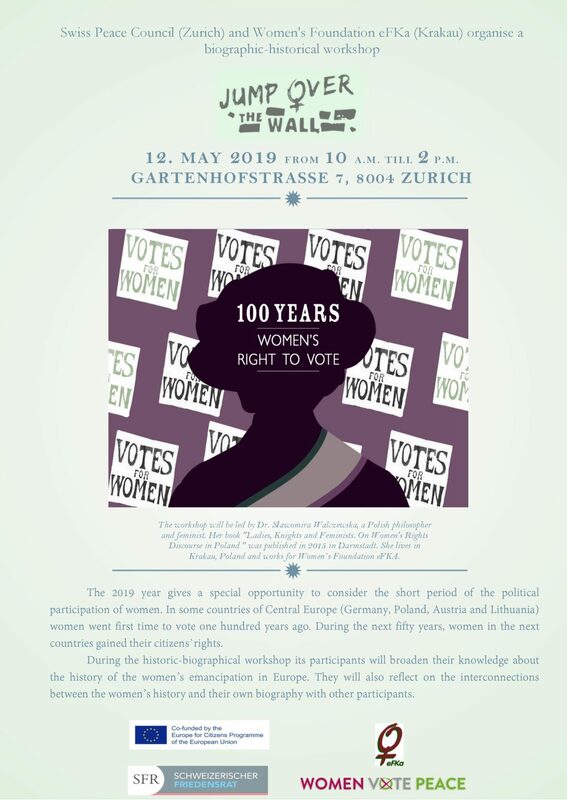 In some countries of Central Europe: Germany, Poland, Austria and Lithuania, women went first time to vote one hundred years ago. During the next fifty years, women in the next countries gained their citizens rights. During the historic-biograpical workshop its participants will broaden their knowledge about the most recent history of the women’s emancipation in Europe. They will also reflect the interconnections between the women’s history and their own biography, in exchange with other women participating. Dr. Sławomira Walczewska is a Polish philosopher and feminist. Her book „Ladies, Knights and Feminists. On Women’s Rights Discourse in Poland “ was published in 2015 in Darmstadt. She lives in Krakau, Poland and works for Women`s Foundation eFKA. You can register till 8. Mai 2019 by writing an e-mail to diana@friedensrat.ch (Diana Hrytsyshyna, Swiss Peace Council). The workshop is organized in the frames of the Women Vote Peace Project supported by the European Commission. Die Facebook Veranstaltung können Sie hier finden. 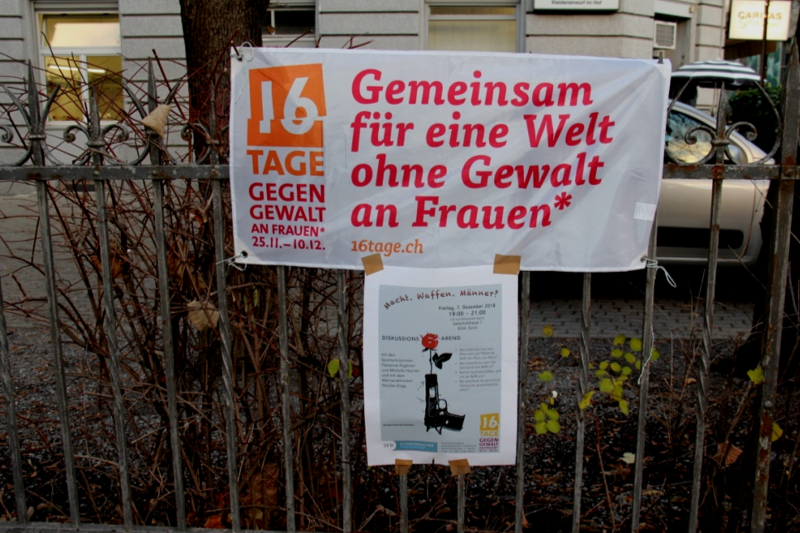 Den Flyer können Sie hier herunterladen.